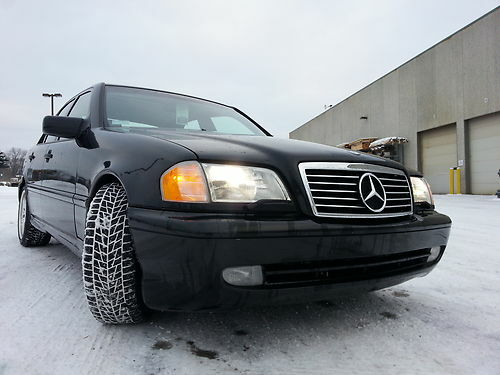 The Mercedes W202 was one of the last pre-Daimler/Chrysler merge Mercedes that we would consider allowing in our garage. It still maintains the classic clean Mercedes styling, before the front end starting looking like a Jag, and before Daimler abandoned its 100 year reputation for quality over quantity. Market share obsessed DaiChry executives slashed vehicle development budgets and BOM cost sheets in exchange for the instant gratification of next quarter's stock bonus, an affliction that Mercedes vehicles are still suffering from two decades later. Gone are the 500k mile machines that had nuclear winter proof interiors and the replacements are a nightmare of costly components and cracked leather after the warranty wears off. 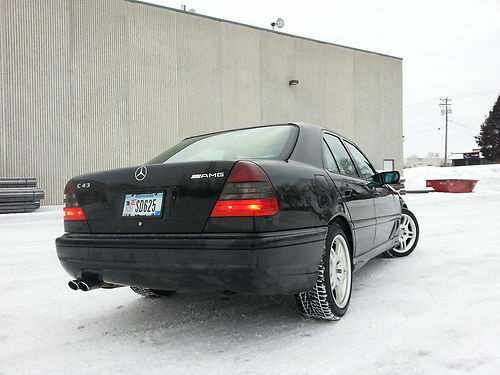 Relive the glory days of Daimler-Benz greatness with this 1998 Mercedes-Benz C43 AMG currently for sale in snowy Minneapolis, MN via ebay buy-it-now of $11,500 obo. The W202 styling is our favorite for the C-Class compact Mercedes luxury sedan. Its hood-greenhouse-trunk proportions are pleasing to the eye and the classic Mercedes boxy but smooth hood/fender can be accused of being dull, not not ugly. Recent Mercedes styling looks to be driven by an unreasonable focus on ever more complex/fancy sheet metal creases, 75" diameter wheels and the latest crazy in lighting technology...in fact we are genuinely surprised the latest C-Class isn't equipped with ice clearing CO2 powered laser beam headlights. Maybe next restyle when the 15th styling bulge gets added to the hood? The seller doesn't provide any interior or engine bay photos, but with only 21k miles on the odometer, we assume the interior should be about perfect. The C43 passed on the C36's AMG tuned inline-6, and instead was powered by the 4.3 liter V8 from the W210 E-class. The C43 was the last true AMG car before D-B absorbed the tuning company, and while this car was assembled by AMG, it was mostly a hot-rod from the Mercedes parts-bin. The Mercedes M113 V8 puts out 306 horsepower and makes for an entertaining experience in the nimble C-class chassis, the only let-down being the ancient reduction-box based steering system that seems a better fit in a Unimog than a 'sport' sedan. Industry insiders say the W202 steering system feedback was calibrated based on input from the union of retired U-boat helmsmen. This C43 AMG is selling on the high end of what the market has to offer, but its low miles and excellent condition make it stand out. 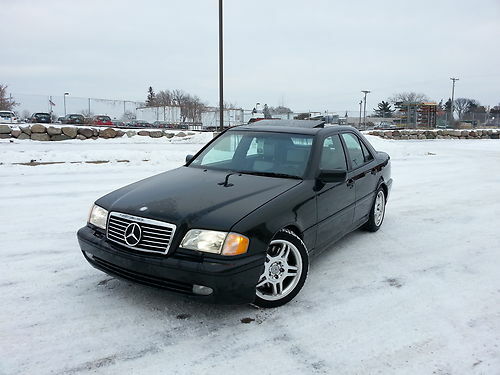 We also appreciate that the seller didn't make the statement "never driven in snow".